In fell in a store in Oak Cliff Dallas. I need help! On January 10, 2018, I was in a grocery store in Oak Cliff, Dallas Texas, when I fell fracturing my hip. I slipped and fell on oil on the floor. I had hip surgery and I probably will not be able to work for a year. The store’s insurance company does not want to pay my claim. Do I have a case? (4) That the store’s failure to use such care caused your injuries, medical bills, and lost wages. In your case, we would have to show that store had actual knowledge or constructive knowledge of oil on the floor, that the store created or placed the oil on the floor or the store knew that the oil was on the floor and failed to clean it or warn you about the oil before your fall or that the oil was on the floor so long that it should have been discovered and removed in the exercise of ordinary care during their inspections. 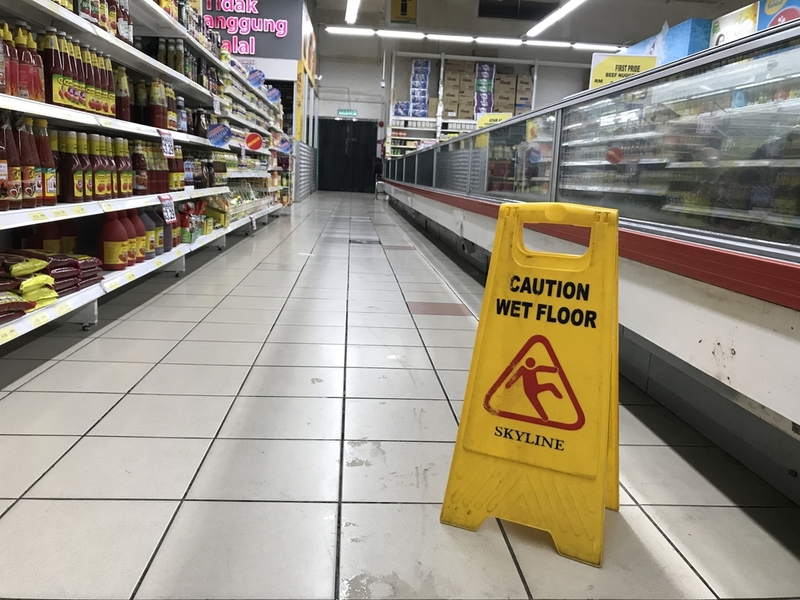 In other words, we have to prove that the oil that was on the floor was a unreasonable risk of harm based on the amount of oil on the floor, whether any falls had occurred before your fall, whether any other customers had complained about the oil on the floor and whether you had other routes to avoid the oil in the store. To make matters even more complicated, the Texas Supreme Court held in a case styled Austin v.Kroger Texas, L.P. 465 S.W.3d 193 (Tex. 2015) that if the oil was on the floor was “open and obvious” that the story may have no duty to clean the oil before your fall . Essentially the court ruled that the store is not “ an insurer of [a] customer’s safety.” There are two exceptions to this new law. One is called the “ necessary use” exception that may arise when a customer’s must use of the dangerous premises (oil on the floor) despite knowing about the danger and the second exception may arise when a dangerous condition results from the foreseeable criminal activity. Also, the last analysis is any conduct on your part that made have caused you to fall can directly affect the amount of damages that you can recover. In other words if a jury decides that you should’ve seen the oil while walking on the floor, a jury has the discretion to find you partially at fault for the fall. If you are more at fault than the store, then the law prohibits you from recovering any money for your damages. As you can see, premises liability cases can be very problematic. The best route is to take the advice of an attorney with substantial experience in personal injury trial law . I am Board Certified in Personal Injury Trial Law and Texas Civil Law. Please call my office in Oak Cliff Dallas for an appointment. As always, the consultation is free.